Obsessed as I am with design and iconography, I’m a huge fan Gerd Arntz’s work and ISOTYPE (International System Of TYpographic Picture Education). 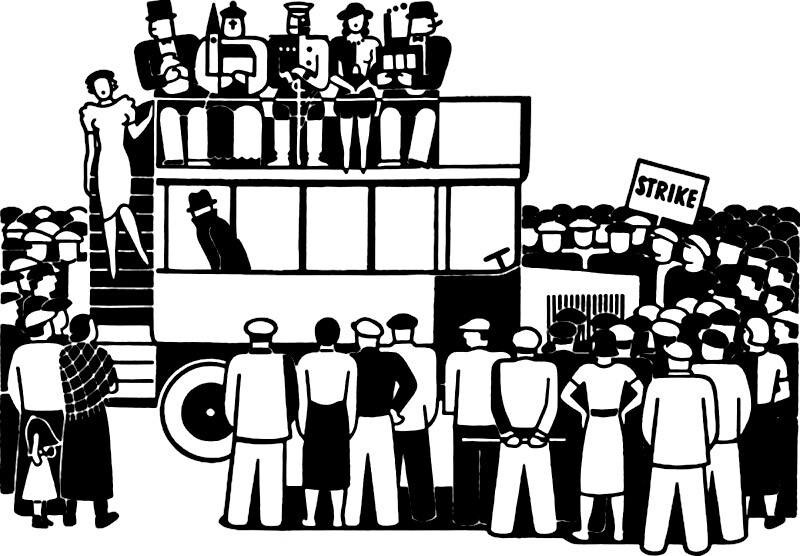 Gerd Arntz (1900 – 1988) was a German Modernist artist and activist inspired by social and political issues. In his twenties, Arntz left his bourgeois roots to commit himself fully to the proletariat struggle. His earlier works portrayed social inequities, exploitation and war in black & white woodcuts used on prints that would not only be exhibited and sold to sympathetic art lovers, but published in leftist magazines in Germany and abroad. It was in these magazines that Otto Neurath, the spearhead of modern pictograms first discovered Arntz and recruited him to Vienna’s Museum of Society and Economy to further develop ISOTYPE. ISOTYPE, or the International System of Typographic Picture Education is a method of communicating complex information in a pictorial form — much like the symbols we see in modern day signage informing us of things like pedestrian crossings or public restrooms.